Ohio will have a coordinated system that strengthens families and communities with enhanced integrated services for children and families with substance use and mental health needs. To establish a comprehensive strategy for statewide multi-system reform that improves outcomes for children and families in the child welfare system with substance use and mental health challenges. 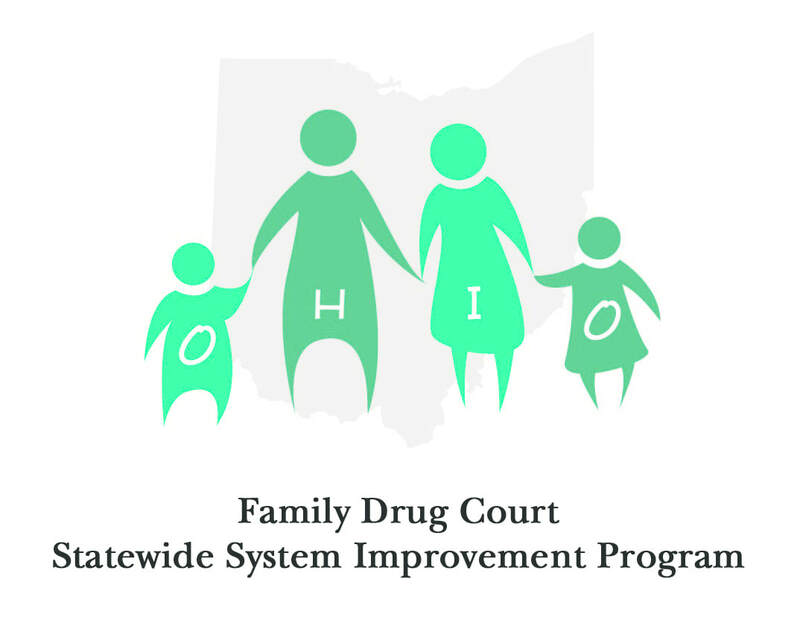 Develop strategies to increase the number of participants family drug courts can serve and the number of family drug courts operating in Ohio. Develop strategies to incorporate key elements of family drug courts that are most effective in improving outcomes for children and families with addiction issues. Develop strategies to enhance the availability of services for children and families affected by substance use and other co-occurring disorders in Ohio. According to the Ohio Department of Job and Family Services, 42.7 percent of individuals who come into contact with the Ohio child welfare system have been identified as having a substance abuse issue. Additionally, 52.6 percent of those individuals who are screened into the Ohio child welfare system have identified substance abuse issues. A significant gap exists in Ohio’s ability to effectively serve all families in the child welfare system affected by parental substance abuse. The Ohio Statewide Systems Improvement Program (SSIP) is examining strategies to address identified service gaps for this population. The purpose of the initiative is to expand the number of clients that can be served through the family drug court model along with related best practice strategies and services to improve outcomes for children and families with substance use and mental health challenges.